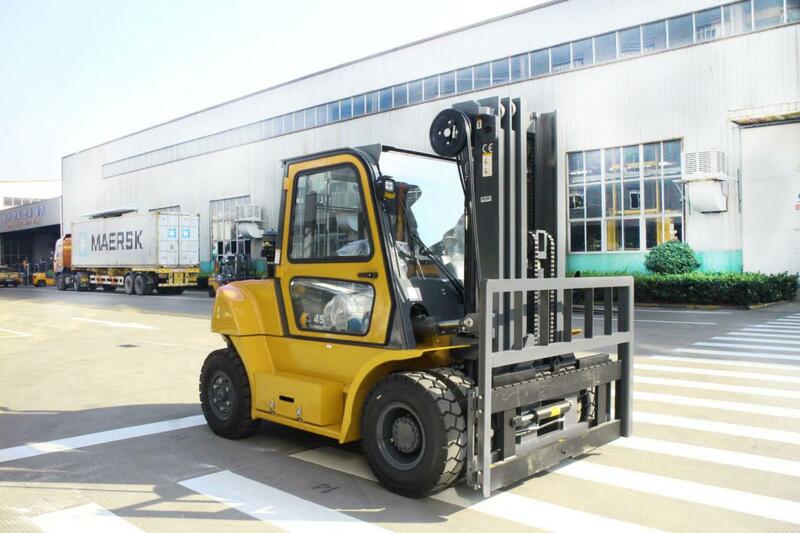 Forklifts are an essential piece of machinery for lots of industries, and they make everyday lifting and handling of heavy goods much faster, easier, and less labor intensive. But these useful machines can also present a number of hazards, both for those behind the wheel, and other workers on the factory or warehouse floor. And, when winter sets in and ice, snow, strong winds, and heavy rain become a problem, those risks become even more serious. In this post, we will discuss the essential measures you should take to keep your forklift operators and other staff safe over the cold winter. Winter means dark mornings and early sunsets, so it`s likely that your staff will be spending at least a couple of hours of each shift working in poorly lit conditions. This may not be an issue if the majority of your work is done inside a factory or warehouse, but it can present a serious hazard when using forklifts outdoors. Operating a forklift in low light increases the risk of a collision or crash, so you need to take measures to help improve visibility. 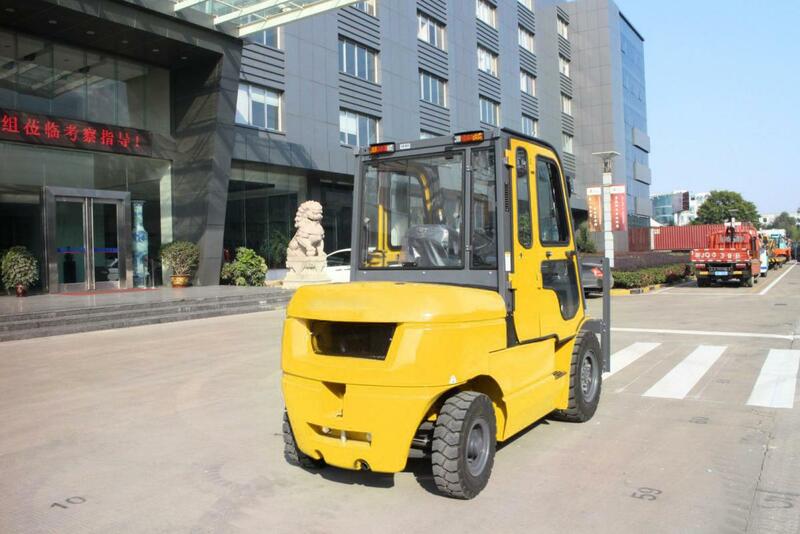 It`s a good idea to kit out your forklifts with additional safety lights and reflective signage to ensure pedestrians are aware of them as they move around the site. In addition to this, you should ensure that all work areas are well lit by installing extra work lights during the winter months. Sprawling sites may benefit from mast-mounted flood lights, which will illuminate large areas efficiently. "Cold stress" is the medical term for when the temperature of the skin drops too low, meaning the body can no longer maintain a normal temperature. If left untreated, it can go on to cause serious health problems, like frostbite and hypothermia. So, during cold snaps, it`s essential that you ensure all employees have the right clothing and personal protective equipment to stay warm, comfortable, and safe during outdoor work. Not only will providing your staff with the appropriate PPE help to protect them from cold stress, but it`ll also be much easier for them to focus on the job when they`re warm and comfortable, meaning they`re less likely to lose concentration and be involved in an accident. In extremely cold weather, it may be sensible to install forklift cabin heaters, too. If most of your working day takes place under cover inside a warehouse or factory, a lot of these rules still apply. Take a look at our guide to heating your warehouse to learn more about keeping your indoor workers warm on the job. When the mercury drops, ice and snow can make even simple lifting, loading, and transportation tasks much more hazardous. The most effective way to help keep your workers safe is by taking measures to prevent ice before it forms: roads, car parks, and any access ramps and loading bays should be properly gritted whenever the weather is forecast to drop below 2°C. Lying snow should also be shovelled before the start of the working day - you can buy attachments, which will convert your forklift into a snow plough for this. If your forklifts are frequently working in areas where the condition of the road is poor, then you may want to replace the tyres with some sturdy, winter-ready styles. This will offer better traction and help to prevent punctures, which will save you money in the long term. Slips, trips, and falls are also an issue for workers on foot, so you`ll need to make sure your workers have footwear that provides good grip and traction. Don`t let the winter disrupt your business and put your workers at risk. By implementing these simple safety measures, you should be prepared to take on the worst weather.